large, dramatic prints in your design. Do you have large prints or panels that you would like to use in a quilt? 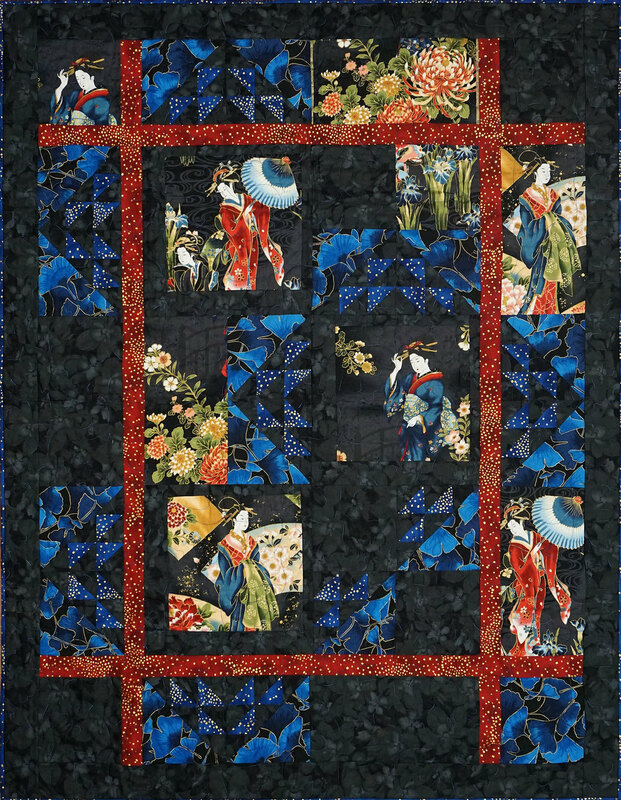 Would you like to learn new approaches to incorporate large panels into a quilt? This class is for you. We will design and cut, then sew a quilt that incorporates these larger graphic elements. This class is perfect for a confident beginner at piecing.